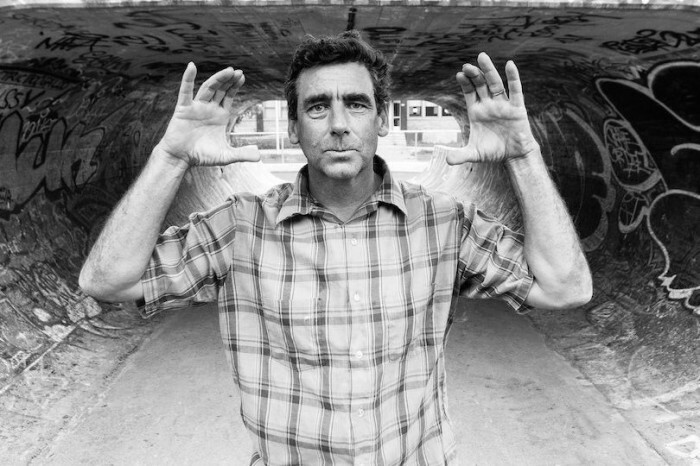 Well of course it was gonna be a Lance Mountain video, it’s Lance week here. I thought long and hard and watched a ton of Lance parts on youtube to finally pick the one I was gonna use, but trust me, right after a post it, I will change my mind. Me and Dan went back and fourth on it today. He thought I should use the Future Primitive back yard ramp part. Which is super awesome because not only do you get Lance, but you get Grosso,Hawk,Cab, and Neil Blender. Well after much watching I went with his part in the Flip video Extremely Sorry and here is why. 1- I have always been a fan, but the fact he is still out there doing it and being a part of it is just one reason he stokes me out to this day. 2- It’s the only cartoon part in the whole video that I really liked and his eyebrows in cartoon form make me laugh. 3- He filmed it all in his backyard. So all at the same spot and yet you don’t get bored watching it. 4- I don’t see you going over the ladder. 5- He sets up so cool stuff to skate in it.